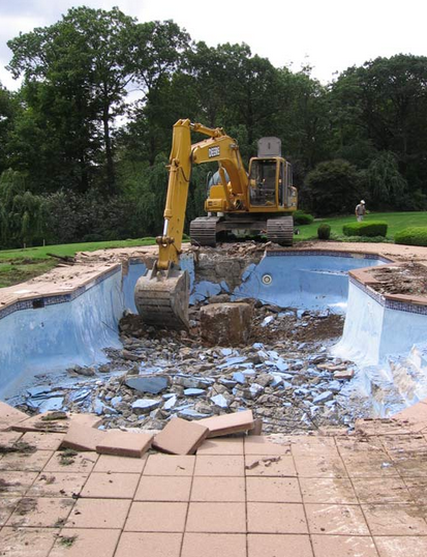 Pool demolition is one of the most common residential services we perform due to high demand in areas of North Texas and Denton. As the university in the area went up, so did homes and pool construction. Since most pools were built in the 1970s, they are just now probably starting to wear out their welcome. That's where we come in. We have references in the Denton, TX area and look forward to earning your business. Get started at the number above and contact us today to speak with a professional, friendly demo expert. We look forward to hearing from you. We are proud to provide the Denton and North Texas area with the best pool removal services in the area. We are with the BBB and look forward to working with you on your next project.